Delaware has passed a resolution to proclaim April as 'Sikh Awareness and Appreciation Month', amidst increasing hate crime incidents against Indian-Americans particularly the Sikhs. 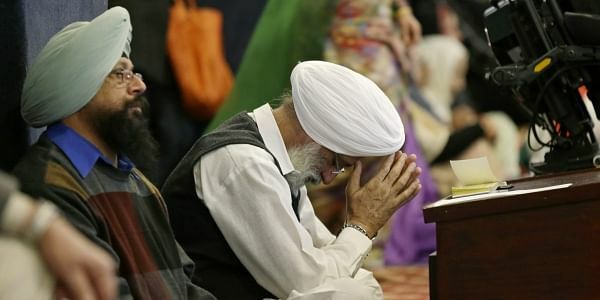 DOVER: Delaware State Assembly has passed a resolution to proclaim April as 'Sikh Awareness and Appreciation Month', amidst increasing hate crime incidents against Indian-Americans particularly the Sikhs in the US. A resolution in this regard was passed unanimously by both the chambers of the State Assembly – the Senate and the House of Representatives. The move was welcomed by the State Governor John Carney, who in a meeting with the Indian-American community assured all kind of help to the community, which he said of late has been experiencing a spate of hate crimes in the US. "We have fear mongering going on at the national level, and stereotyping...and all of that. It is an embarrassment on America as a country," Carney told a delegation of Indian-Americans led by local businessman and community leader Charanjeet Singh Minhas. Such kinds of attack or vandalism is "completely unacceptable," the Delaware Governor said. "Since September 11, 2001, the Sikhs are often mistaken for Taliban or followers of Al Qaida, owing to the commonality of their beards and turbans, and subjected to a disproportionately high rate of hate crimes, and Sikh boys suffer bullying at least twice the national bullying rate for other boys," it said. In the House, the resolution was moved by Assembly man Paul Baumbach. It noted that Sikh-American community continues to peacefully overcome attacks on its identity and practices, whether in the form of school harassment, employment discrimination, or fatal shootings, including the murders of six Sikhs during the Oak Creek, Wisconsin Sikh Gurdwara shooting on August 5, 2012, and the shooting of a Sikh man that occurred in Kent, Washington on March 3, 2017. In addition to over 30 other hate crimes that have occurred nationwide since the September 11, 2001 World Trade Center attack in New York. "The faithful service of the Sikh-American community to Delaware and the United States merits appreciation as an integral thread in the fabric of American plurality," the resolution said as it proclaimed April, 2017 'Sikh Awareness and Appreciation Month'." Simultaneously, Matt Meyer chief executive New Castle County also issued the proclamation. "We are here to help you and ensure that you are safe," Governor Carney said. Community leader Charanjeet Singh Minhas said Delaware, which has a small Sikh community as compared to the other States like California, New York and New Jersey has taken a lead in showing its solidarity with the people of this ethnic-religious minority. "It's a landmark day for the Indian-Americans and the Sikh community especially here in Delaware. It is also all over in the US, considering the kind of environment that is there in the country today. With so much of hatred that is prevailing in the nation what the Delaware Assembly has done is very significant," said Minhas, who runs a software company in the State. "We have fear mongering going on at the national level, and stereotyping...and all of that. It is an embarrassment on America as a country," Carney told a delegation of Indian-Americans led by local businessman and community leader Charanjeet Singh Minhas. "Such kinds of attack or vandalism is "completely unacceptable," the Delaware Governor said. "Since September 11, 2001, the Sikhs are often mistaken for Taliban or followers of Al Qaida, owing to the commonality of their beards and turbans, and subjected to a disproportionately high rate of hate crimes, and Sikh boys suffer bullying at least twice the national bullying rate for other boys," it said. In the House, the resolution was moved by Assembly man Paul Baumbach. It noted that Sikh-American community continues to peacefully overcome attacks on its identity and practices, whether in the form of school harassment, employment discrimination, or fatal shootings, including the murders of six Sikhs during the Oak Creek, Wisconsin Sikh Gurdwara shooting on August 5, 2012, and the shooting of a Sikh man that occurred in Kent, Washington on March 3, 2017. Simultaneously, Matt Meyer chief executive New Castle County also issued the proclamation. "We are here to help you and ensure that you are safe," Governor Carney said. Community leader Charanjeet Singh Minhas said Delaware, which has a small Sikh community as compared to the other States like California, New York and New Jersey has taken a lead in showing its solidarity with the people of this ethnic religious minority.